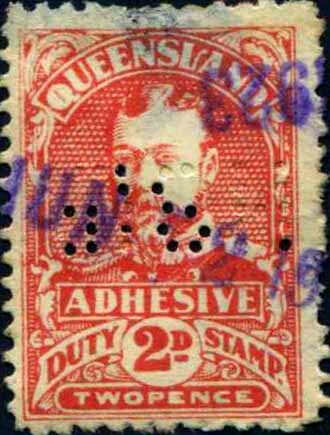 QV State issue 1907-11 issue 1d. 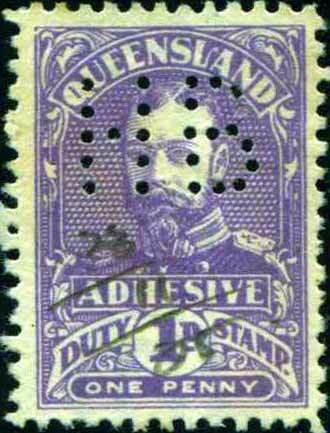 QV State 1907-11 issue 1d (state) R4. KGV 1917 issue 1d R4, 2d R4, 3d R4. 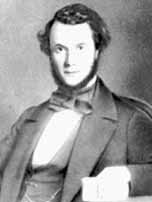 Background: John Hardy was born in Nottinghamshire, England, in 1831, the son of Samuel Hardy I, a jeweller and watchmaker, and his wife Catherine Esther, nee Wilson. His brother Samuel Hardy II was a retail jeweller at St. Ives, Huntingdonshire, England. On 31 July 1853 John arrived in Sydney aboard the ship 'Plantagenet' and was met by his cousin Felix Wilson. A few weeks later John established a jewellery business from his rooms at Jamieson Street, Sydney. Before leaving England, John had formed a partnership with his brother Samuel Hardy II, to trade in NSW selling jewellery from England. Samuel’s role was to source and ship the stock and John was to manage the retail sales in NSW. The partnership continued until Samuel II’s death in 1865. From 1861 John was joined in Sydney by his nephew Samuel Hardy III (born 1842) and he remained in Sydney until 1865 but returned to England following his father’s death. In 1869 Samuel III returned to Sydney to marry Emma Louisa Sparke. He then returned to England to conduct his fathers business but continued a partnership with his Uncle John. Between 1855 and 1934 Hardy Brothers operated from premises at 13 Hunter Street, Sydney but in 1934 they moved to Castlereagh Street, Sydney. In 1892 a branch of Hardy Brothers was opened in Brisbane at 116 Queens St with Walter Hardy, son of John Hardy, as manager. In 1917 (some sources 1918) a branch was opened in Melbourne at 298 Collins St.
Hardy Brothers are known for their gold and silverware and have manufactured the Melbourne Cup. The company is the only holder of a Royal Warrant from Queen Elizabeth II, in Australia. Today the company has 7 stores around Australia including two each in Sydney, Melbourne and Brisbane and a store in Perth. Device: The HB Brisbane device was one of the 3 similar devices used by Hardy Brothers in Brisbane, Sydney and Melbourne. 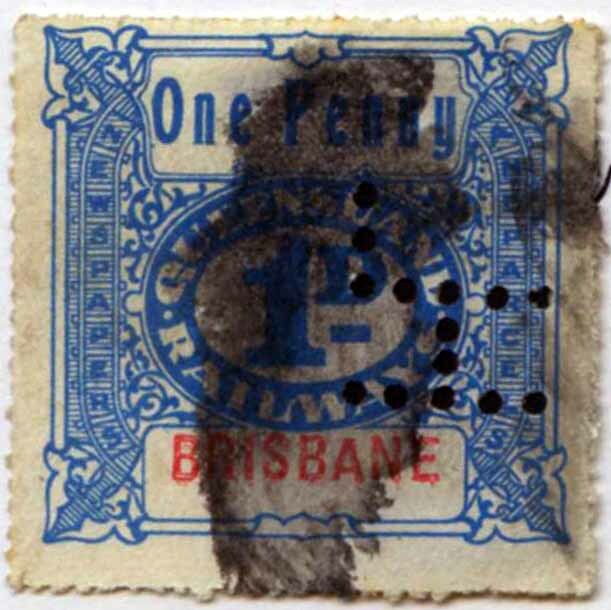 Only the Brisbane and Sydney devices are found on revenue stamps. These 3 patterns are almost indistinguishable from each other and are most accurately confirmed by postmarks or there use on a given States revenue or postage stamps. Melbourne: Centre pin of 3 of the base of the B is slightly higher than the pins to either side giving a concave look to the base. 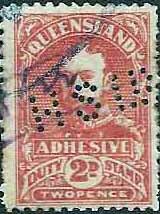 The Brisbane HB device has not been reported on Railway Stamps but is found used on Postage Stamps from 1913 to 1954. 1927 issue 1d R4, 3d R4. Background: *Harringtons Limited was founded in Sydney in 1906 by brothers John and Thomas. They were metallurgists initially involved in the Gold boom in Western Australia but later become involved in the silver residue technology used in the photographic industry. This lead Harringtons into the manufacturing and wholesaling of photographic equipment. By 1930 they had offices across Australia and New Zealand and dabbled in Cinema with the purchase of the Raycophone System which they later sold to Kodak. Harringtons traded until 1990 when they merged and became Golden West. Device: A single head device which is found used on both revenue and railways stamps as well as on postage stamps between 1932 and 1945. The device featured rather thick pins and these removed a significant amount of the stamp. 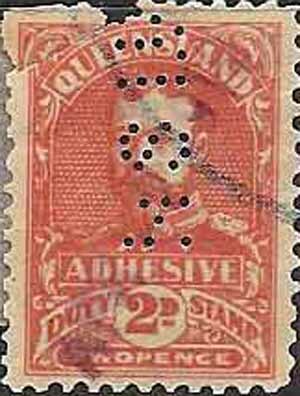 This and the small size of revenue stamps meant that it is generally found with strikes in positions 2, 4, 6 and 8. The scale of the die is much more suited to the larger format railway stamps. KEDVII 1908 issue 1d, 2d, 3d, 6d. KEDVII 1908 issue 1d R4, 2d R3, 3d R4, 6d R4. Background: *Captain William Howard Smith arrived in Melbourne from Hull (Yorkshire) in 1854 and formed Howard Smith Limited and commenced regular voyages between Melbourne and Geelong. In 1864 he extended this to a Melbourne to Sydney passenger and cargo service and later included Newcastle (1868), then Maryborough, Adelaide, Brisbane and Rockhampton by 1880. This network was further extended to include Western Australia and Far North Queensland. Smith had established himself well in coal importation and trading and this and the growth in his passenger and general cargo services lead to the accumulation of a large fleet. In the late 1870s he had three of his sons in the partnership and they took charge of the Melbourne, Sydney and Brisbane offices. In 1883 the firm became a limited liability company, William Howard Smith and Sons Ltd. He was the managing director at Melbourne before he retired from active management in 1884 but he continued as chairman until 1887. In 1901 the company became Howard Smith Company Ltd in 1901 and later in 1914 it changed its name to Howard Smith Limited and it expanded from its base in the coastal shipping trade into the mining and sugar industries and later engineering, hardware, towage and safety. The shipping activities continued to grow until the late 1940’s when the company ceased their involvement in the passenger trade. In 1969 Howard Smith withdrew from the shipping business in and then in 2001 sold their towage interests. The company and its remaining hardware interests were absorbed by Wesfarmers Ltd., Perth, the owners of the Bunnings chain. At this time Howard Smith Ltd. was delisted from the Australian Stock Exchange. Device Information: Most likely a single head device this HSCO pattern is found on revenue and postage stamps with usage all across the Australia. The strikes found used in various locations are essentially identical so it is difficult to say if they were a series of identical dies in separate devices or a device located centrally (most likely the head office in Melbourne) which perforated stamps for dispatch to user areas. The central location would have faced the challenge of obtaining revenue and postage stamps of the various States and receiving these and returning them to user areas. More likely that the devices were a series of identical or related devices located at least in the main State office in each State. This argument for remote but similar devices is supported by the fact that company subsequently replaced the HSCO device(s) with a range of devices of similar appearance in the HSLD format and that these devices were allocated to their various offices around Australia. KGV 1920 issue 1d, 2d, 3d. KGV 1920 issue 1d R1, 2d R1, 3d R3. Device: This is a later device than the HSCO device used in Brisbane and is one of a number of similar device that are known to have been used in Brisbane, Melbourne and Townsville. 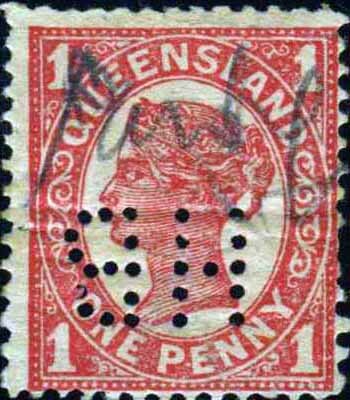 Only the Brisbane device is known on revenue stamps. It is most likely a single head device and it is first found used on postage stamps in Melbourne but it seem that it was relocated to Brisbane about 1916 where it is found used on both revenue and postage stamps. There is a device that is known to have been used in Howard Smiths Townsville office that produces an almost identical pattern but this is not known on revenues. Existing references have considered these similar patterns to be from a single device but our research has established that there were at least 2 devices. KEDVII 1908 issue 6d R4. KGV 1920 issue 1d R1, 2d R1. Numeral 1d R1, 2d R1, 3d R4. Device: Another of the very similar Howard Smith devices, this one located in there offices in Innisfail where the company had shipping interests as well as a sugar cane mill at the nearby Mourilan. It is found used on both postage and revenue stamps but is more common on revenues. 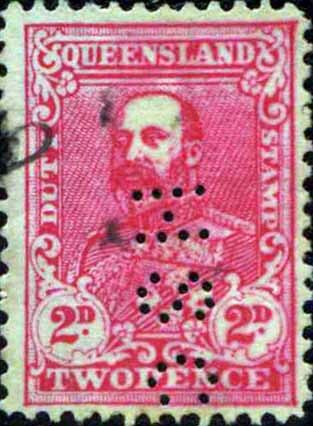 KGV 1920 issue 1d, 2d R4. Device: Another of the Howard Smith devices that produces a similar pattern to many others. This is a Cairns device and is found on postage stamps but only rarely on revenues. 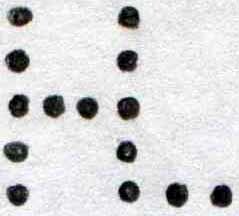 The pattern is characterised by a number of missing pins in the H. I am yet to see a full strike of this pattern. The device is known that have been used from about 1917 through until 1940 and the missing pins are consistent through this entire usage.